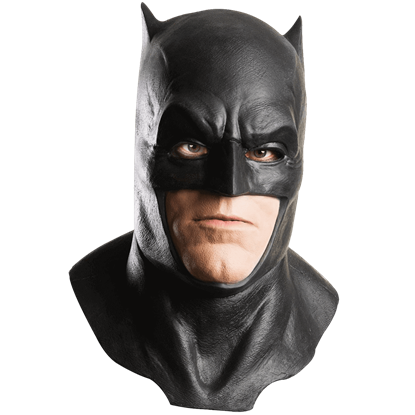 With molded details reminiscent of a furrowed brow, the Adult Batman 3/4 Mask is perfect for achieving the often gritty film look of this popular DC Comics superhero who fought to defend his city in Batman v Superman Dawn of Justice. 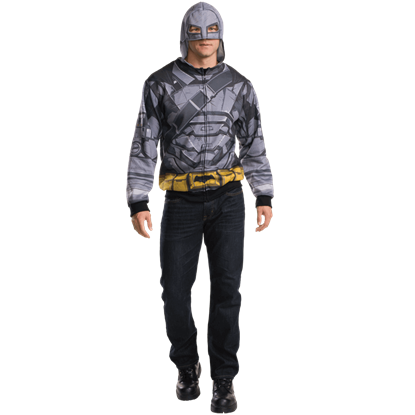 Batman has no superpowers, so he relies instead on his wits and superhero gadgets, especially his trusted utility belt. 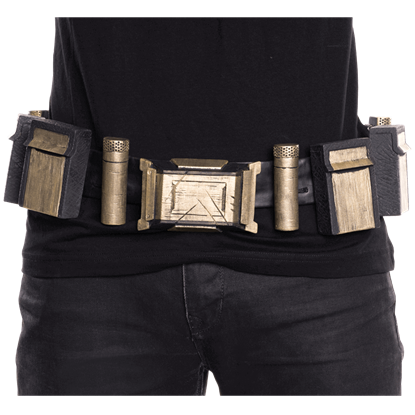 The Adult Batman Costume Belt is the perfect way to incorporate this iconic tool into your own superhero look. 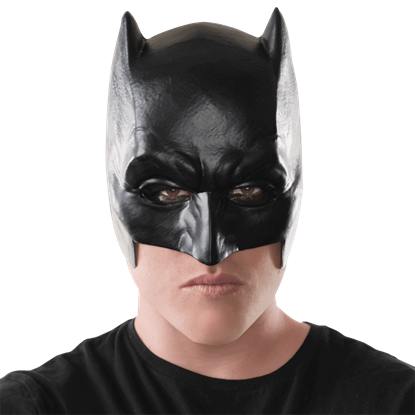 Batman wears a mask to stay incognito, but when you wear the Adult Batman Full Latex Mask, you are sure to turn heads. 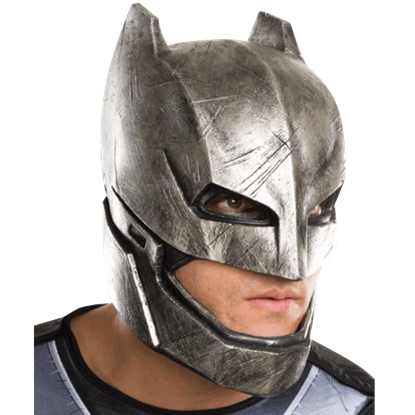 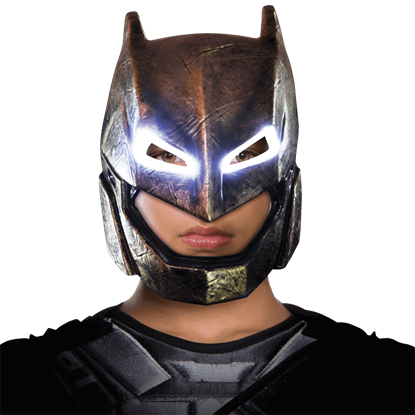 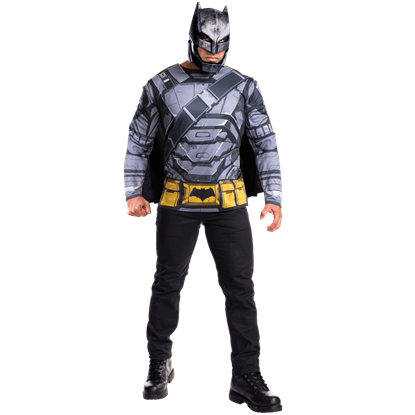 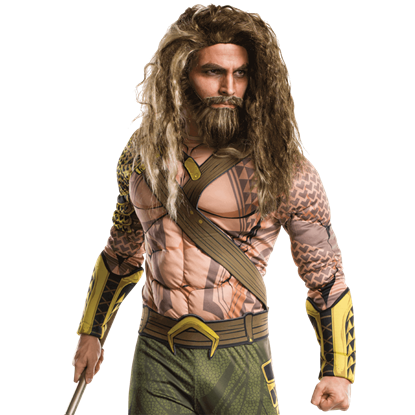 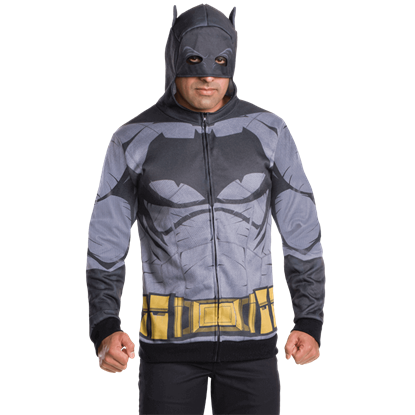 With quality and detail, this licensed costume accessory is the ideal way to achieve Batmans Dawn of Justice look. 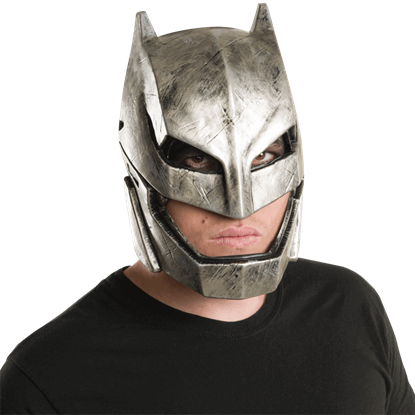 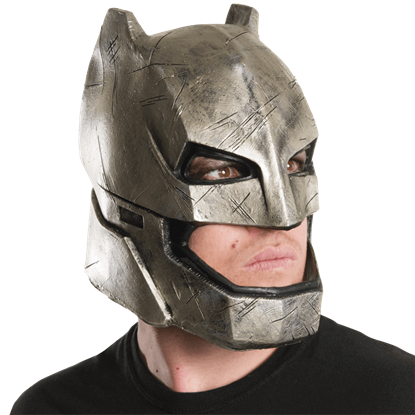 The Adult Batman Half Mask is perfect for achieving the disguised look of Gothams resident vigilante. 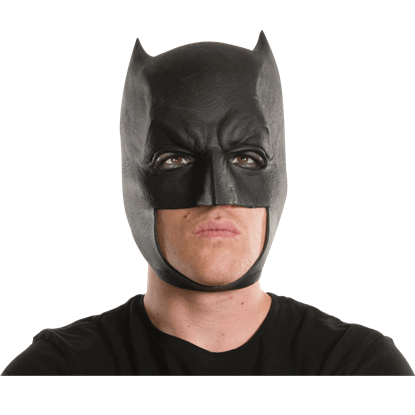 Covering just the front top half of the face, this mask is an easy-to-wear, versatile option for any fan dressing up as Batman.